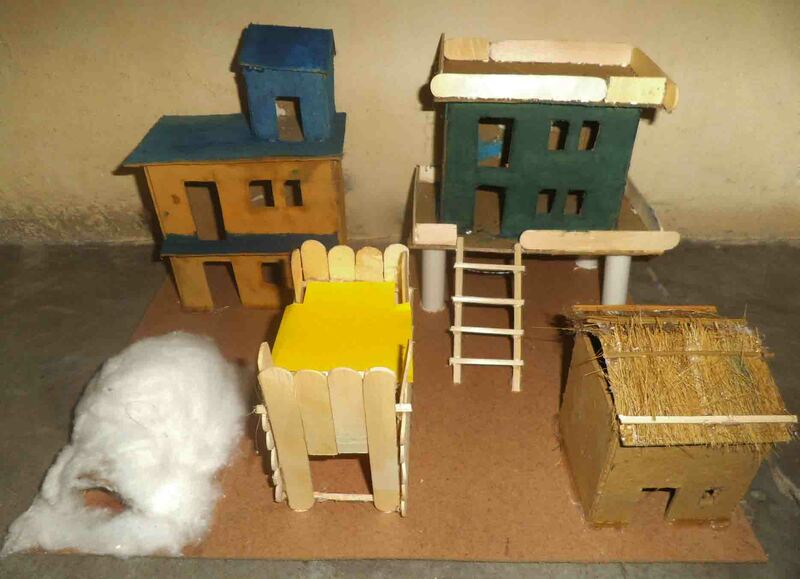 This is model of different types of houses for kids. 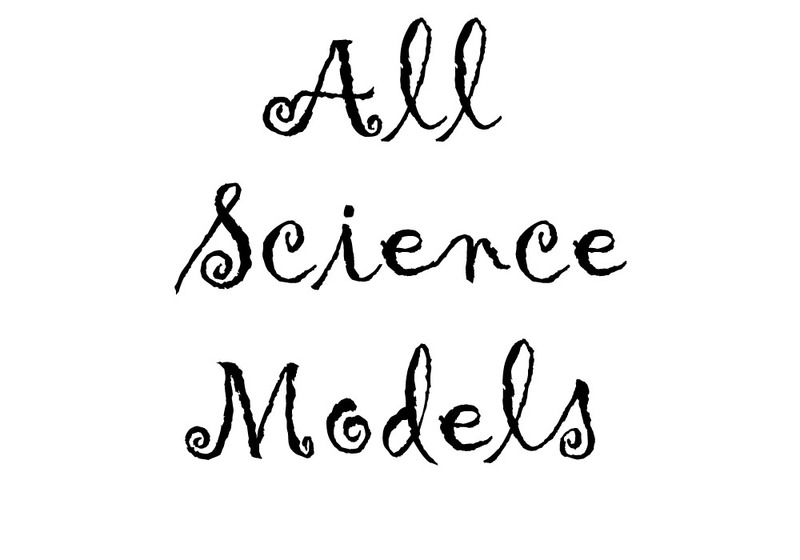 This is model of boat using waste material and thermocol. 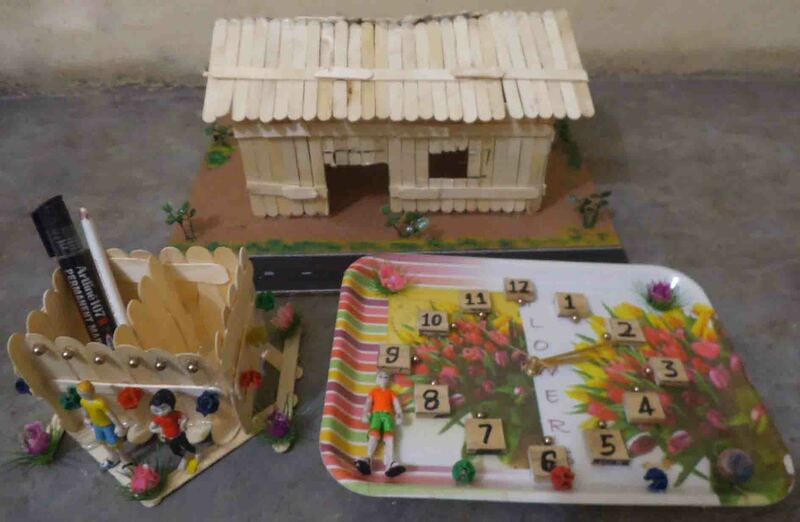 This is the model of house, pen stand, and watch using ice cream sticks and some waste material.